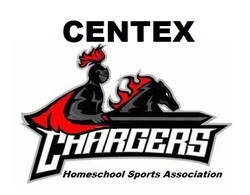 The CenTex Chargers is a sports association started by homeschoolers to serve the central Texas area. We have athletes from Temple, Belton, Killeen, and the surrounding communities, and do not limit our membership geographically. In addition to the sports we currently offer, we are open to offering others if coaches volunteer for those sports. We are a nonprofit volunteer organization and rely on our parents and sponsors for our existence! Please contact us if you would like more information. NOTE: We are currently migrating our Chargers information from the Teamopolis site to this one. Complete information will remain on the Teamopolis site until all information is migrated, at which time the Teamopolis site will be discontinued. CenTex Christian Homeschool Community (CCHC) is a Christian homeschool support group.